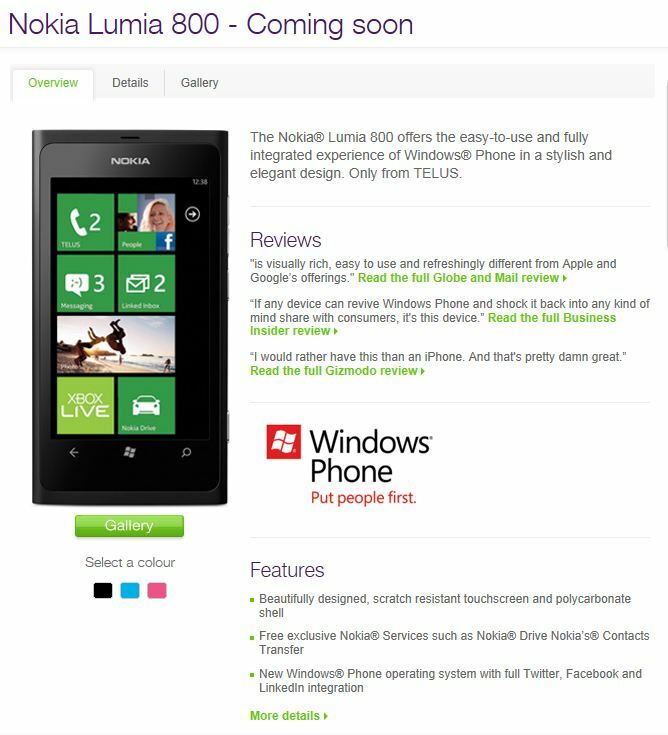 We already knew that the Nokia Lumia 800 would be coming to Telus but it is now listed on their website. The device will be available in black, pink, and cyan. There was no info on the site about pricing or the release date. It’s simply listed as “coming soon”.